Printed in black with glow in dark white embossed and rim. Pleasantly pleased with it. Hi guys, just thought is show a quick 10 minute idea. 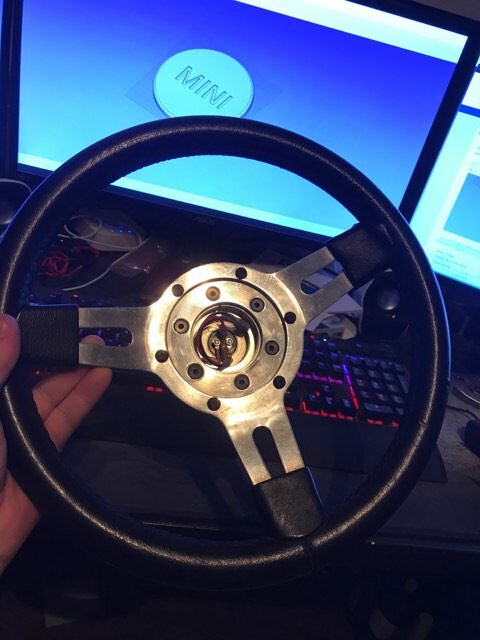 I installed a quick release boss for my mini in the process my old steering center boss no longer fits, so i thought id print myself one. 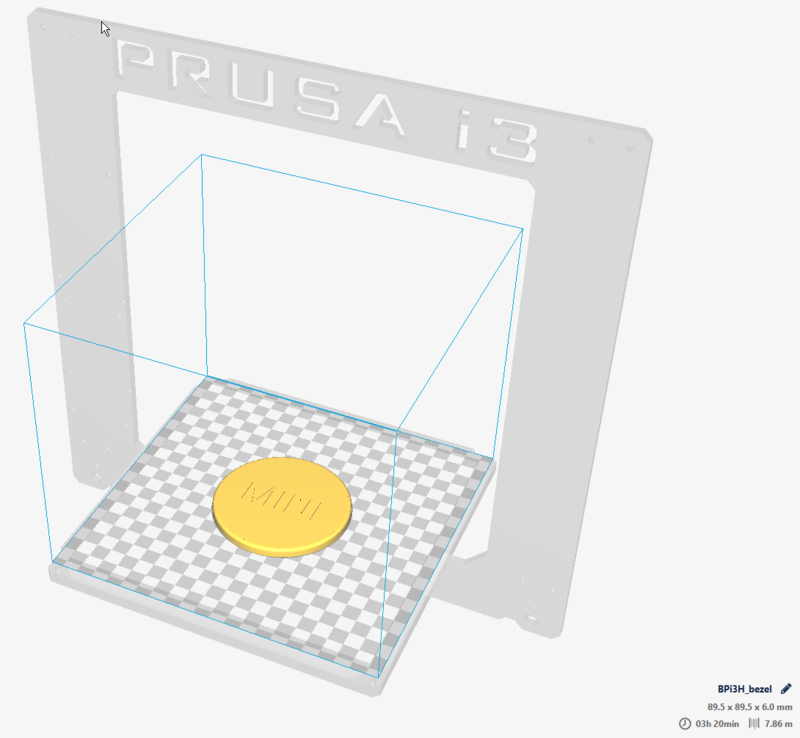 In the slicer software, yes... it will take 3 hours to convert from a digital design to the physical bezel. 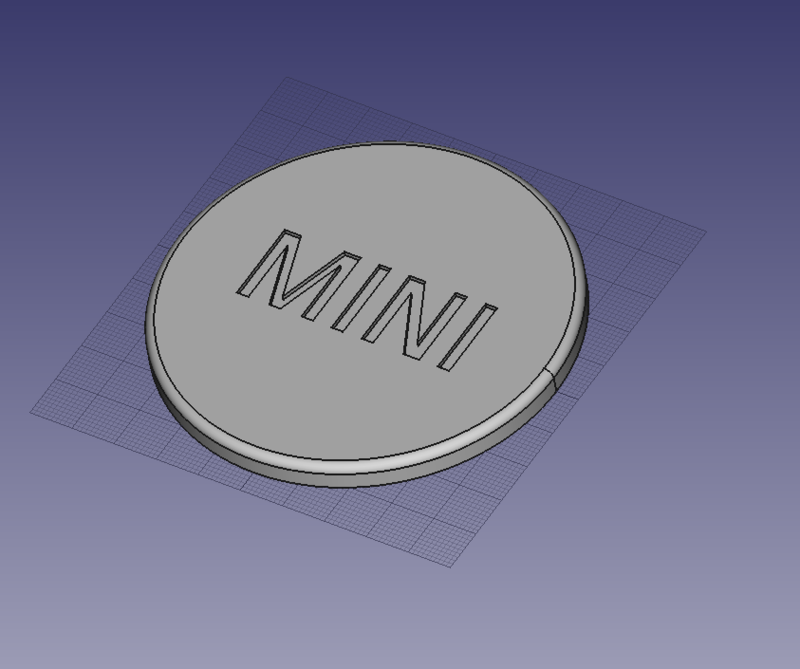 I feel like im going to print it black with the MINI in white glow in the dark inset. Ill look at printing it in the near future. Very nice! Please share a picture once it's fitted. Finally got round to clearing the dust off the printer. Initial print in green as i dont have a huge amount of black if it fails. Edited by phillrulz, 14 January 2018 - 06:42 PM. Hmm never thought of that. My next thing is to print a new smith two clock instrument case like this. Or atleast a means of re attatching it to my mini as over the years mine has become brittle and broken meaning the screws dont quite hold it in.